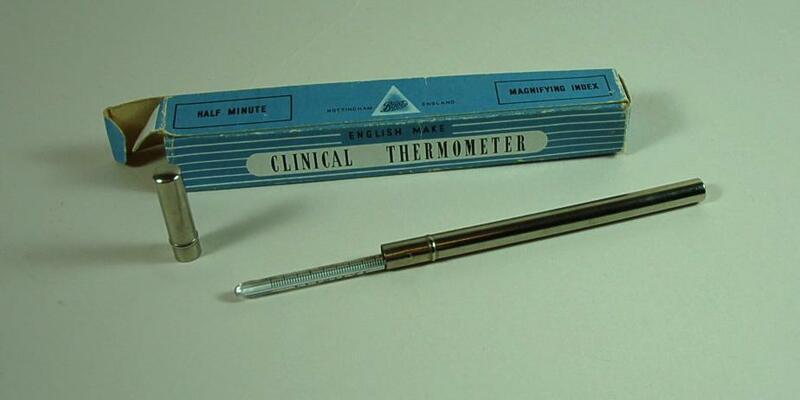 Clinical thermometer marked with '30 seconds guaranteed' and the Boots logo. It is housed in a cylindrical silver metal case with a detachable cap. It is inside the orginal blue and white box with black lettering 'Half Minute, Magnifying Index' and the Boots logo.